Director Nancy Meyers is best known for her involvement with a long list of romantic comedies. I have a surprising vulnerability to romantic comedies, if done correctly—but they’re rarely expert. Recent “rom-coms” are overwrought with reality, bogging down their stories with a depressing anti-climax. The Holiday, satisfyingly, does not do this. 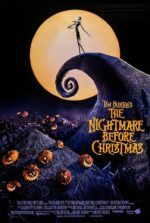 Even though the film’s half-hour-too-long running time keeps it from achieving the “classic” appeal I believe Meyers hoped it would, it’s still worth recommending. The movie has something familiar and appealing—the promise of love (and what better promise to entertain with). Starring a top-billed Cameron Diaz next to the superb Kate Winslet, Jude Law, Jack Black, and Eli Wallach. The Holiday’s story centers on two women, both of whom need to forget their respective ex-lovers, as both have recently broken up with or have been broken hearted because of a man. 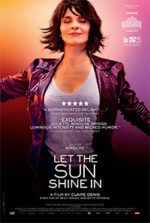 Iris (Winslet) is a newspaper writer who lives in a quiet pastoral town outside of London; Amanda (Diaz) lives in L.A and owns her own company that designs movie trailers. Through a home-swapping internet site, the two women meet and decide to switch houses for two weeks (The home-swap thing was the least believable part of the movie. Who the hell would really do this?! I realize this practice is probably done by rich folk, but for the rest of us, it only served to distance us from the film.). Iris takes Amanda’s L.A. mansion and Amanda takes Iris’ homey English cottage. This “holiday” from their problems allows the women to meet a new man each. Amanda meets Graham (Iris’ brother, played by Jude Law); Winslet meets two men—Amanda’s neighbor (Eli Wallach) and Amanda’s coworker, a film score composer Miles (Jack Black). The movie boasts fine performances from the cast, save Diaz. Eli Wallach, who I thought was dead (sorry, Eli) and who you may remember from such films as The Good, the Bad, and the Ugly (he was the latter) and How to Steal a Million, had the best role as fictional Golden Age Hollywood screenwriter Arthur Abbot. His cheeky advice and clever quips about Classic Hollywood movies are best appreciated by those in the audience familiar with the films of Preston Sturges and Ernst Lubitsh. 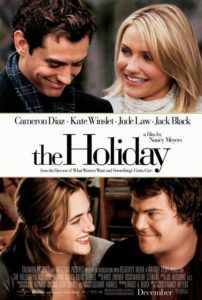 The Holiday is filled with references to classic movies. Meyers writes a pleasant ode to strong women of Golden Age Hollywood through Winslet’s Iris. The easily more endearing of the two main characters, Iris takes classic movie recommendations from Abbot, who worked (fictionally, of course) in the heyday of great cinema. 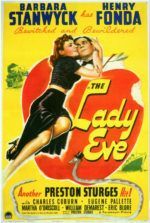 She rents and watches the masterpiece The Lady Eve and other films with Barbara Stanwyck, as Stanwyck often had a massive feminine strength in her roles (see the western Forty Guns another great example); Stanwyck was rarely the damsel in distress. Abbot instructs Iris, albeit indirectly, in how to have a backbone, so when she’s confronted with the man she’s supposed to be getting over, she can resist him. The Stanwyck Persona would have never taken the emotional abuse Iris took. After rediscovering independent women in classic cinema as Abbot hoped, Iris is strong enough to resolve her problems, which she never had the confidence to solve before. Meyers wonderfully teaches her audience a valuable lesson the best way possible: through great movies. And like much classic cinema, The Holiday ends without the modern, fatalistic spin placed on so many contemporary romances. Recent examples such as The Terminal or The Break-Up have reminded us that love doesn’t always work; they end on somber notes, purposely avoiding the cliché where two lovers end up together in the finale. With The Holiday, cheerfully, there’s a happy ending. I saw this film a couple of days ago and at first I thought it was bland, if not a little formulaic, as if that’s a bad thing. But sometimes audiences need a healthy dose of formula romance to give us hope and/or confirm our existing love. This film does that nicely.